Comment: Juri Gagarin – the first human to journey into outer space – right before the launch of his space rocket. 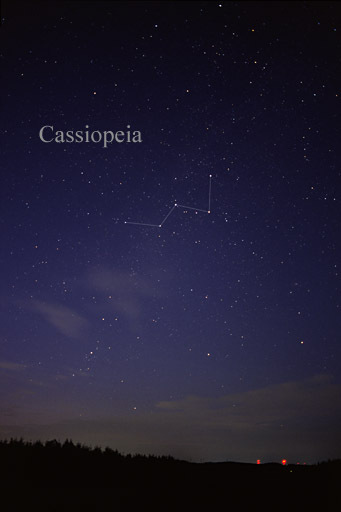 Above his head the constellation of the Cassiopeia (Link) – a Greek Queen who was keen enough to challenge the Gods. The wooden portrait of the cosmonaut is embedden in bars of former fruit and vegetables boxes and surrounded by a green metal ring. There is an anecdote about the space race between the U.S. and the Soviet Union during the cold war: Facing the fact that conventional ballpoint pens did not work under the conditions of zero gravity, NASA started a huge and expensive research program to create a ballpoint pen which could be used in weightlessness. The Soviets had to face the same problem, but found a much simpler solution by replacing the ballpoint pens with pencils. In my eyes this short anecdote describes a typical Russian behavior: Always search for the easiest and least stressful way to solve a problem – which in some cases doesn’t lead to the best solution. I was living right above a small fruit shop. So it was an easy solution for me to take some of the old boxes from the shop to create a background for the cosmonaut.